matsui kosei — Dai Ichi Arts, Ltd.
Click Photos for more Information.. This beautiful piece by Matsui Kosei, a Living National Treasure, is executed in the Neriage style, which originated in Tang China (7th - 10th century). This technique requires extreme precision in combining sheets of different types of clay to create the desired decorative effect in a single coherent piece. Each type of clay has its own unique properties of color, form, and texture, and only an experienced artist may bring them together in a unified style. The chic tastefulness of Matsui's work rests on his exercising precise judgment throughout the Nerigae production. He aims not purely for harmony, but also brings a unique attitude to his work, which results in elegant works such as this one. The blue body of this jar is mixed with cream clay and dark clay. The overall effect is of graceful and energetic movement, as he named this piece "Early Summer", we can see pleasant breeze from this soft and yet fresh surface. Matsui first encountered the Neriage technique in the collection of the Tokyo National Museum, which includes several important Tang and Northern Song period pieces with beautiful, thin stripes of different colored clay bodies. He was enormously attracted to these works, and soon mastered the fundamental techniques of this ancient process when few others were working in this style. His pleasure in the work leads to constant innovation, and he is continually traveling and collecting new ideas for his work. Matsui Kosei took a rather unusual path for an artist. Born in 1927 in the Nagano Prefecture, he graduated from the literature department of Meiji University and in 1957 was installed as the 24th head priest of the Gesso-ji Temple. 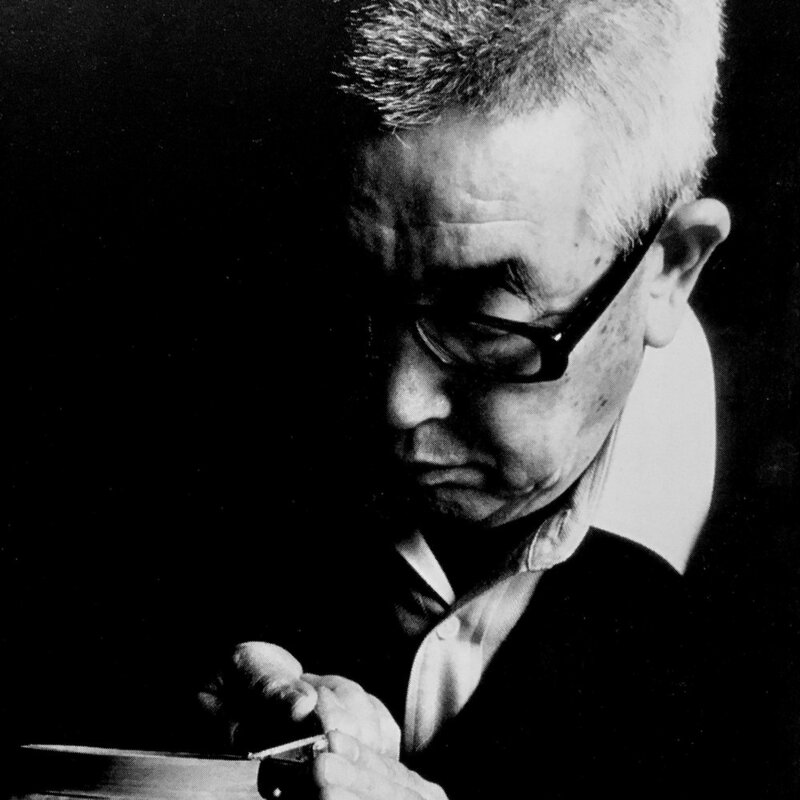 He had a kiln installed at the temple three years later, the first active kiln in that location in over a century.He received the Gold Prize from the Japan Ceramic Society for his work in 1990, and in 1993 was named a Living National Treasure. Matsui passed away in 2003.